We don’t think there’s ever an individual who hasn’t experienced having a really bad headache at least once in their lifetime. It is so common that we often shrug it as part of daily life. However, there are certain types of headaches that warrant our attention as these can significantly impact our quality of life, our work productivity, and our social relationships. It is very important for us not to become slaves to chronic headaches because there are a lot of things that we can do to manage this health problem. While most of us will think that physical therapy is only effective for musculoskeletal problems, it is actually one of the best therapeutic regimens for headaches. You can actually regain control of your life using physiotherapy for headache. There are a lot of reasons why we experience headache from time to time. With increasing knowledge and understanding of the pathophysiology of headaches, we now know that all of the more than 300 causes of headaches most will typically fall under three general categories. This makes management a lot easier. Migraine – This category of headaches is often described as throbbing and is thought to involve the blood vessels within our head. Of course, there are many different types in this category. Migraines are perhaps the type of headache that we are mostly familiar with. Tension headache – If the headache was described to be painful but not throbbing, it was often labelled as a tension headache. Unfortunately, studies have failed to provide proof that it has something to do with tension which may occur in the muscles of the head and scalp. Cervicogenic headache – This classification of headaches is best known as neck pain. We should remember that the neck is what actually attaches the head to the rest of the body. Pain in the neck as well as the base of the skull can actually radiate to the rest of the head. This can result from abnormal movements or poor posturing of the neck. Certainly, there are other types of headaches. But that is why you will need the expertise of healthcare professionals like physiotherapists to help determine the specific type of headache that you have. Regaining control of your life from headaches starts with a very comprehensive assessment of your health problem. While diagnostic procedures can be performed to identify possible structural issues that may be producing the pain or perhaps even aggravating the painful condition, these are often not helpful in certain types of headaches. A physiotherapist can help us identify the actual cause of our headaches so that he or she will be able to devise a plan of care that is highly specific to our needs. 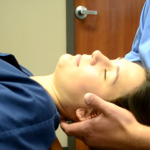 In most cases, physiotherapists can help by performing a variety of techniques that aim to relieve the muscle tension that occurs in the various structures of the neck. It should be remembered that sore or tense muscles can irritate, compress, or even distort the different joints found in the neck. When this happens, the pain can travel all the way to the other parts of the head. Physical therapists can loosen the joints in our necks through joint mobilisation using gentle gliding techniques. In some cases, they can also perform localised manipulation of the joints in an effort to re-establish normal anatomical alignment and thus, relieve pressure off of these structures. In other cases, physiotherapists can also apply traction on joints to increase the space in between joints and help in the realignment process. However it is done, physiotherapy can help improve joint mobility so we will feel less pain. Additionally, in situations where our neck joints are considered to be hypermobile, physiotherapists can help devise of program of exercises designed specifically for strengthening the neck muscles. Hypermobile joints or dynamically unstable articular surfaces can produce pain because of the amount of movement that they produce, leading to further irritation of any existing tissue injury. Muscle strengthening exercises can help to limit, stabilise, or even control these unnecessary joint movements to help us find pain relief. In cases where the problem is an overactive group of muscles resulting in excessive tightening that they don’t loosen up, physiotherapists can provide a variety of techniques that can help us relax these muscles. For instance, they can help us perform specific stretching exercises, massage the affected part, conduct dry needling or acupuncture, and other types of relaxation techniques. If the issue is a weak muscle, then muscle strengthening exercises may be devised by the physiotherapist to help provide the necessary strength in these structures. We can also be provided with postural correction as well as supportive care for nerve dysfunctions that can aggravate our headaches. There are many ways in which a physiotherapist can help us manage our headaches. Physiotherapy can help us regain control of our lives from the clutches of severe, chronic headache. I have been working as a makeup artist for many years. Now that I am in my 30s I can say that I have learned a lot from my work and at the same time have experienced a lot of stressful situations. Being a guy in a field that is usually dominated by women, I don’t find any problem or discrimination whenever at work. What gives me stress are the schedules that I have to stay awake and work harder to beat deadlines and to produce output that satisfies the discriminating tastes of our clients. I love my work but there are times that it burns me out. This is why I started looking for ways that can help me relieve myself from stress and just forget about my work for several hours. I have friends who told me that group activities such as drumming is very therapeutic in the sense that it eases the mind and as a result removes stress. I never thought that drumming as a therapy can really work for busy people like me. That was when I haven’t tried drumming lessons yet. Aside from cosmetology, music is also my interest but I wasn’t able to pursue anything related to it because I had to choose work that will give me enough income. Now that I have learned about the therapeutic benefits of drumming, I didn’t find it hard to consider the idea of enrolling into drumming lessons because playing instruments is part of music. I asked my friends if they know about the best drum schools in our area. Luckily, I got a lot of recommendations and tried to search about all of them on the Web to know about their background. I did some comparison of their services and price rates to be sure that I end up with the best decision. I also tried looking for organizations that offer free drum lessons. I stumbled upon Red Drum Music Studios FB page and was impressed with their record. After some research about the different schools and organizations I finally chose one that I think will help me a lot in managing work related stress. 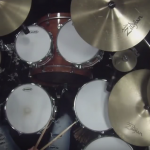 When I attended my first drum lesson, I felt like a student during the first day of school in college. But this time, there is no nervousness. I just felt happy and excited because I got to meet new people with the same interest. I also felt at ease when I learned that many of them are also taking drum lessons to relax their mind and body. We were able to share our experiences with each other and we’re all glad that we share some similarities and goals why we resort to drum lessons. As I attend more drum lessons, I get to know about and actually experience the therapeutic benefits of drumming. I realized that the simple hitting of a drum and following a specific beat has a lot of positive effects not just to the body but to the mind as well. Our instructor explained that drumming is able to help people heal through sound and rhythm. It was further explained that playing drums as a therapy taps the different layers of the body and mind that other methods cannot achieve. I learned that there have been many studies that prove that repetitive drumming is effective in changing the brain wave activity. This results to a focused awareness and calm state. 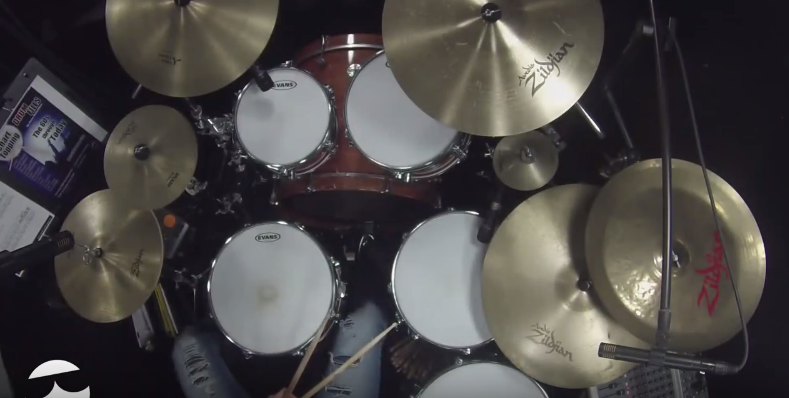 I realized that this is how drumming helps in relieving tensions and stress. In many of our lessons, there are group drumming activities that have also helped us become calmer even amidst stressful situations. Playing the drum with a group of people have proven to be very therapeutic in a way that it provides participants with exhilaration, joy and a great feeling of connection with others. After a few weeks of attending drum lessons, I noticed a huge change in my attitude in dealing with people and in staying focused and graceful whenever situations become tight and stressful. I am able to handle other people’s high emotions and very demanding situations. With the many drumming lessons I have already attended, I have learned about the many therapeutic benefits of hitting the drums. These benefits include making people happy, helping control of chronic pain, inducing deep relaxation, boosting of immune system, creating a sense of belongingness, releasing negative feelings, providing an effective way to access higher power, aligning the mind and body with the natural world, putting the person into the present moment, and allowing for personal transformation. I can say that I get to experience many of these benefits. The release of negative feelings is among the most striking results of regular playing of drums. Before I decided to engage in drumming, I really didn’t know how to manage work related stress. There are a lot of times that I get to blame my co-workers and become so moody that I treat others inappropriately or badly. But today, several weeks after drumming lessons, I am a very calm and focused person now. I can finish my work schedules without getting too much stressed. I am relaxed and happier most of the times now. I love my job, working with computers the whole day. In fact, I could sit at my desk for hours and days without feeling bored or tired. However, a big disadvantage of my career is that if I am not careful, I really end up not moving for hours and having a headache or back and neck pain after a long time in my chair. In fact, sometimes it becomes so bad that I couldn’t move much, or it simply hurts too much. I got to a point when I realized that this is not normal and that I should do something about it. After all, I was not interested in changing careers just because I do not want to have neck pain. I just needed a way to balance it and find a therapy that will help reduce the aching I have when I have to work. In the end, I found my answer in the friendly massage therapist in Mildura. Of course, I have heard about the benefits of massage on back and neck pain, and this is why I became interested in finding out if it can also help me with my issues. After all, there are not many other medical interventions that can really address stiffness of the neck. It was either going for regular massage as a non-invasive option or taking pain medication. Not only was massage the safer and healthier choice, but having someone using hand motions to relieve tension is more relaxing. At the same time, it brings a lot of advantages to the various systems of the body, including circulatory, musculoskeletal, nervous and lymphatic. This is one of the most common techniques out there, where pressure is applied to the surface muscles. This can help in releasing tension and reducing stress, both of which may make neck pain worse. This can be done with a Swedish massage, focusing on deeper muscles and at the same time, the connective tissues in these areas. The pressure applied is harder and more intense to release the tension, in the form of those knots or scar tissue causing your neck to hurt. 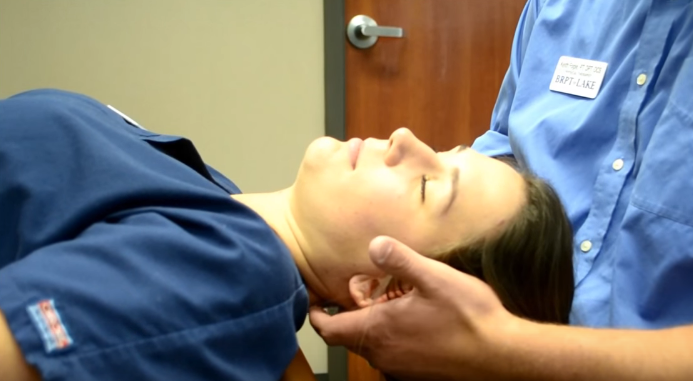 This method uses steady pressure in order to release muscle spasms in the neck. Moreover, blood flow into this area is improved so that healing begins. The therapist will also look for specific muscle knots or points, working to release them and relieving you of throbbing. This is known to be a Japanese massage where the therapist uses his or her body weight, pressing on acupressure points. He or she will improve the flow of energy, or Ki, in your body through feeling the network of vessels where your energy flows. A quick and full recovery might not happen after one session of massage. After all, some pain is more severe than others. Other factors like age, health, and history might play a part. A few sessions might be enough to get relief. The therapist will recommend how many times you need to come back. You can also learn a few movements to do it at home yourself. However, deep massage should not be done when you are experiencing inflammation in this area. Otherwise, you might end up getting an injury. Should you continue to experience pain, it might be a sign of something more serious. You should consult a doctor in this case, just in case you happen to have some pinched nerves or other conditions that are causing the ache. He or she might have to conduct some X-rays or MRIs to pinpoint the real cause. This was the best tip for someone like me, who sits for a long time every day for work. An aligned spinal position is important to maintain whether you are sitting, walking or standing. A support cushion is recommended for your seat. When sleeping, make sure your neck is also properly positioned. Some stretching and neck-strengthening exercises will decrease aching and prevent re-occurrence. Although there are so many spas and treatment centers that offer massage, trust only a certified one. Someone with the proper training can correctly assess what your condition is and choose the right techniques. If you get to a point when your neck pain is too extreme and chronic, it is the sign that you should seek professional treatment. Thankfully, there are massage therapists who can offer you a way without needing any medication and other invasive methods. A sprained ankle is a common type of injury which occurs frequently to athletes or sporty type of individuals. A lot of people sprain their ankle in the course of their lives. One common indication of a sprained ankle is swelling or bulging of the skin near the ankle area covering the ankle bone. The ankle is made up of various structures resembling flexible bands that assist in securing the ankle bones collectively. These kinds of arrangements, referred to as ligaments, offer balance to the ankle. Whenever an ankle is sprained into an uncomfortable position, all these ligaments become overstretched allowing them to rip under extreme pressure. The most typical form of sprained ankle is whenever the foot flips inward and thus overstretches the external ankle ligaments. A sprained ankle could lead to inflammation, redness, bruising as well as discomfort at the sprained area. In extreme situations, some individuals detect a popping sound or even sense a break in their ankle. The RICE technique must be performed right away to assist in the rapid treatment of a sprained ankle. RICE is an acronym which stands for Rest, Icing, Compression, and Elevation. a. Rest the ankle. Never place so much weight into it. Do make use of a crutch whenever needed to lessen the load on your ankle while going for walks. b. Icing the ankle is essential, particularly throughout the initial 48 to 72 hours. Just about every two hours put on a cold compresses pack for approximately 20 minutes onto the inflamed and disturbing region. Constantly position a cloth between the cold compress pack as well as skin to shield you from frostbite. The cold compress pack will assist with the discomfort, inflammation as well as bruising. c. Compression of your ankle with an expandable bandage enables you to decrease the inflammation. Do maintain the bandage on until the ankle inflammation resolves. Ensure that the bandage is not excessively tight, shutting down the circulation of blood. d. Elevation of the ankle above the cardiac level could help with an inflamed ankle. When the ankle inflammation has subsided in most cases, it is typical for the ankle to sense stiffness. You can begin with a number of basic mild physical exercises which should not trigger discomfort to recover ankle flexibility. A standard activity could be shifting the ankle to write the alphabet with your toes. Keep in mind not to ever overstretch the ankle as it can certainly lead to additional injury. You must seek advice from Complete Balance Physiotherapy at the soonest time possible. Signs that you need to see doctor are the following: when pain is felt on the ankle area, when your feet, ankle or even leg is warped at an unusual angle, when you cannot sense or perhaps shift your feet, ankle or even leg. Seek advice from a physician when you have extreme feet or ankle tenderness and when you feel an abrupt coldness or prickling discomfort in your feet or ankle just after spraining the ankle. You must seek the advice of a healthcare professional if you find yourself struggling to move around on your ankle or perhaps feel anxious while going for walks on it or when there is absolutely no positive change in the ankle regardless of implementing the RICE technique. You come across a popping or maybe snapping sound whenever you sprained the ankle. It may not be the first time you get a sprained ankle. After an ankle sprain, the muscle tissues around the ankle could get weaker. These kinds of muscle groups are essential for ankle balance. Hence when a sprained ankle is not addressed correctly, it might lead to additional ankle sprains in the long term. Proper treatment methods are essential in reducing recurrence. A physiotherapist may give you a personalized therapy program allowing you to go back to the pre-injury functional stage. Physiotherapy rehabilitation consists of flexibility exercise sessions for the ankle, ankle muscle-strengthening workouts, balancing workout routines to develop the ankle proprioception (capability to feel the location as well as movement of the ankle), and recommendation on taping as well as the utilization of ankle braces throughout the activities. A physiotherapist are trained experts that help the patients as well as their clients in developing and also in maintaining their ability to move and function normally throughout their lives. These trained experts have an advanced understanding of how the body muscles move and functions. They also help to treat and prevent many medical problems caused by illness, pain, impairments and disease, ageing, sport and work related injuries and long periods of inactivity. In this clinic there are excellent physiotherapists who will be able to help in the assessment of the level of pain, amount of strength to determine the best possible treatment for a specific type of injury and range of possible movement. It is a leading physiotherapy clinic which offers treatment procedures which have been provided by the experts for musculoskeletal and sports injuries. It is a physiotherapy clinic which aims at improving the quality of life of the patient at an economical price. It is amongst the premier chartered physiotherapy clinic in Melbourne for sports injuries. It is in this clinic that with the help of educated and skilled physiotherapists, identifying the best forms of treatment will help provide the patient with the much needed recovery at the highest level that can be possibly attained. It provides the patients with exceptional evidence based on research healing in a specialized as well as a private clinical setting. Physiotherapy is a safe procedure which can be used for people of all ages including infants and also for the elderly people especially when it comes to the most effective management of pain. Physiotherapy serves as an effective form of rehabilitation which enables the people to regain functional mobility asides from minimizing pain levels of a person so as to restore the ability to deal with activities of daily living. The clinic has two branches situated in prime locations of the city. Treatments used for physiotherapy here are simple as well as natural. These treatments consist of which can include heat or ice application, hands-on mobilization of the joints and stretching and strengthening exercises. These are therefore some of the advantages which I found in my friend’s physiotherapy clinic which offers bulk billing and open on Sunday. Your skin is the first thing individuals see when they take a gander at you. For some odd reason, it is viewed as the biggest organ in the human body – straight up there with the insides, lungs, and liver. It fills numerous needs, including going about as our first safeguard against germs and the earth, and changing over daylight to vitamin D. The layer of fat under the skin’s surface aides guarantee that the critical liquids inside our bodies stay inside our bodies. The humorous thing about skin is that when individuals are adolescent, their greatest worry about their skin may be the way to get a tan. However as we get more seasoned, our top skin need gets to be avoiding wrinkles – and the Number 1 approach to do this, obviously, is NOT to tan. 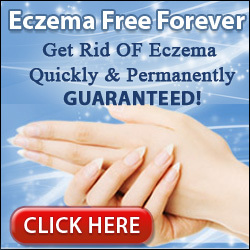 Since counteractive action assumes an enormous part in skin maturing, the sooner you begin the better. When you see transforms you dislike in your skin, a considerable measure of harm has as of now been carried out. All things being equal, what we’re fundamentally attempting to do is postpone the ordinary maturing of skin, which ages as all organs do. The most ideal approach to abate the maturing of numerous things in the human body, on a phone level, is to keep body cells from oxidizing. Furthermore the most ideal approach to keep your body from unnecessarily oxidizing, specialists say, is to abstain from smoking and to consume an eating methodology rich in cell reinforcements. 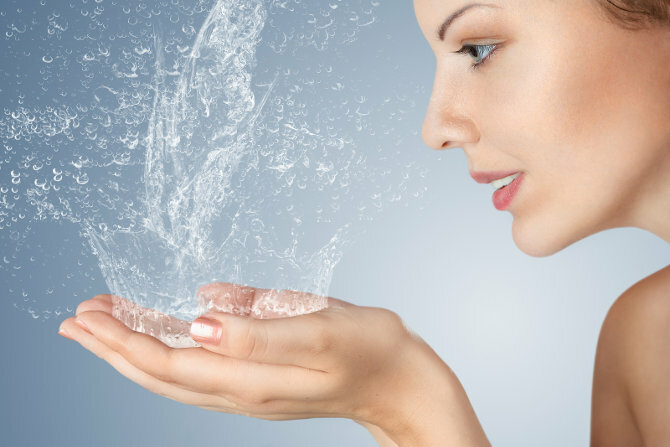 On a physical level, the most ideal approach to abate the presence of skin maturing is to keep skin decently hydrated with a pleasant layer of lipid underneath the skin to ensure the inside dampness. It’s about keeping the skin healthy from within and the outside. Numerous dermatologists accept that the significant cancer prevention agents (vitamin A, C, and E) can help diminish the danger of sun and other ecological harm by incapacitating wrinkle-bringing on “free radicals” – temperamental atoms that harm cells. Vitamin A. 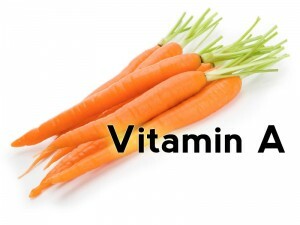 A late investigation of healthy men and ladies in the Netherlands discovered a noteworthy connection between the level of vitamin A in the blood and skin condition. Getting your carotenoids from sustenances is your most secure wager, in light of the fact that you’re much more inclined to get a lot of vitamin A from supplements than from nourishments rich in carotenoids. Top sustenance wellsprings of vitamin A incorporate carrots, potatoes, mangoes, spinach, etc. 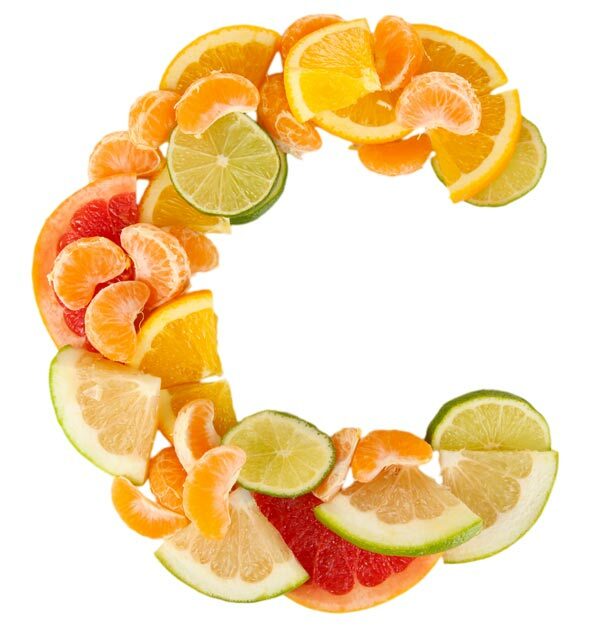 Vitamin C. Vitamin C is a strong topical antioxidant, however just in its dynamic structure – the same structure you get from nourishment. Obviously, including vitamin-C rich leafy foods in your every day eating regimen is something worth being thankful for to be accomplishing for your wellbeing, in any case. 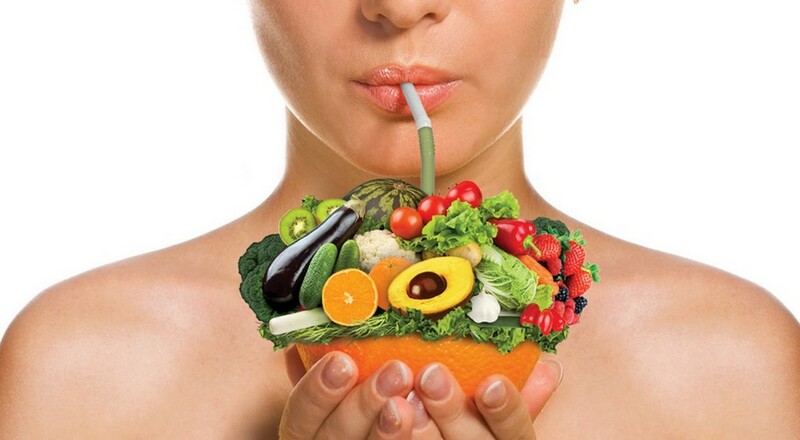 Top nourishment wellsprings of vitamin C incorporate squeezed orange, grapefruit juice, papayas, strawberries, red and green peppers, cauliflower, etc. Vitamin E. More research is under path on the conceivable profits of vitamin E as a fixing in items that you rub on the skin; however, until further notice it appears to profit the skin most as a skin conditioner. 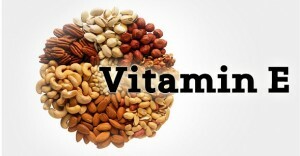 Sustenance wellsprings of vitamin E incorporate vegetable oils, nuts, etc… Anyhow it’s hard to get quite a bit of this vitamin from nourishments, such a large number of individuals take a supplement.